The Labo.Art Fall/Winter 2017 collection follows their minimalist style of solid colors and with a palette of blues and a contrasting rustic red, alongside the classic black and white. The line is designed and refined into functionally structural basics. 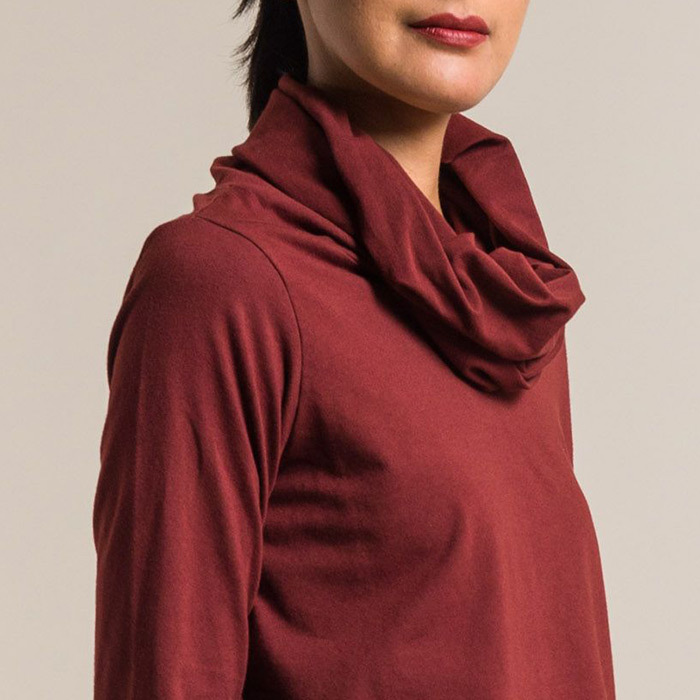 The new collection has dresses and tops with turtlenecks and extended cowl necks. The Labo.Art silhouettes are boxy for comfort and movement. Workshop has a special reorder of the Abita Ortica jersey dress, in the colors black, white, and atlantic and in new colors moon, cordovan, and baltic. 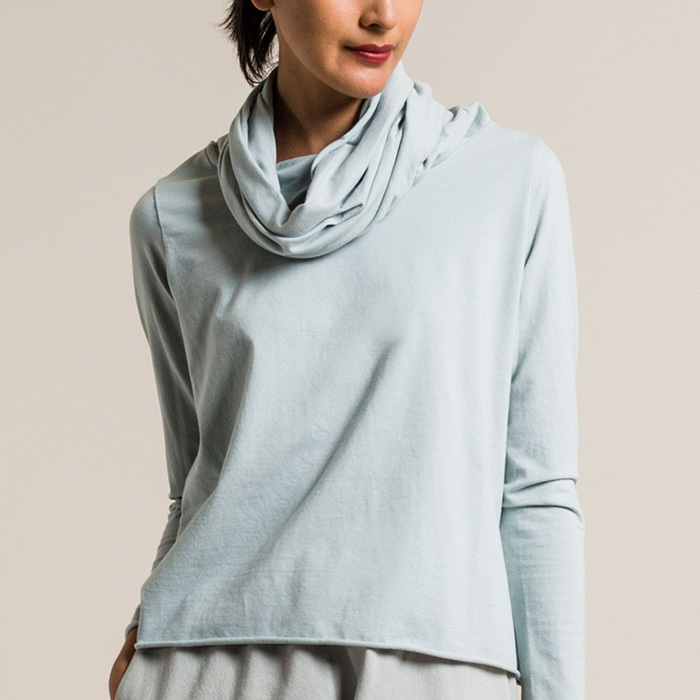 The knee-length cotton dress has a relaxed fit with a crewneck, ¾ length sleeves, and functional pockets.